Metal oxides are less absorbed than metal salts and metal salts are less absorbed than metal chelates. And that metal oxides are cheaper than metal salts and metal salts are cheaper than metal chelates. Let me help you understand with an illustration. 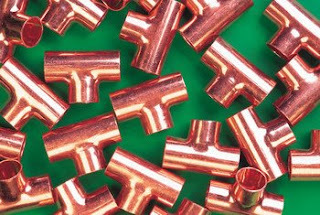 When copper comes out of a factory it is all shinny, like the copper T junctions shown below. 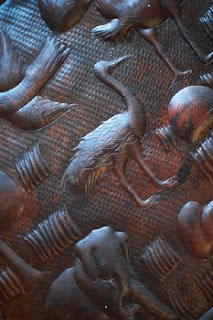 Then as it is exposed to air it oxides and goes the black color (thinking like rusting copper) showing in the blackish copper sheet with animals on it (the middle picture below). If the copper is left out in the rain or other environments instead it may create a copper salt instead of a copper oxide. 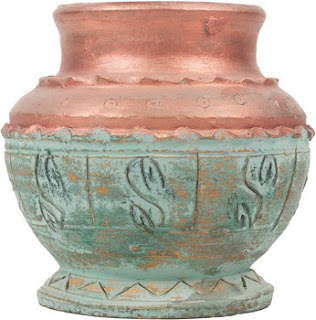 This is illustrated in the vase/container that has the top part polished, and thus copper color. The lower half is a mixture of copper sulfate (blue), copper chloride (green) and copper carbonate(green). The copper sulfate and copper chloride are called salts. (Those who connect dot's know that table salt is sodium chloride). Lastly if copper is taken up and used by a plant, yeast or animal, it will be bound to protein (think meat) and this is called a metal chelate. As each of these different things have different absorb ability. The copper and the copper oxide (black copper) and not absorbed by the body. The copper salts are absorbed by the body, but not as much as the copper bound to some protein in much more absorbed because it is already bound to a protein which the body finds much easier to pull it across the intestinal lining. The amount that the body can absorb and use is called bioavailability. Now logically copper and copper oxide is the easiest to produce. The copper salts are somewhat more difficult, but still not that hard, something that you can do in a laboratory. Making copper chelates are harder. Because you either need to bind them to proteins in a lab or feed plants or yeasts the copper then harvest these plants/yeasts and pull out the copper chelate. Thus you can see that copper/copper oxide is going to be the cheapest, the copper salts more expensive and copper chelates quite expensive. Thus you get what you pay for in supplements. Cheak out a multivitamin ingredients list. Some don't have any copper, others use copper oxide, others copper salt (copper sulphate, copper chloride copper citrate), and others copper chelate. The chelate often goes by the protein name it is bound to eg copper gluconate, copper glycinate.